PSL. The Pumpkin Spice Latte, the herald of Autumn! 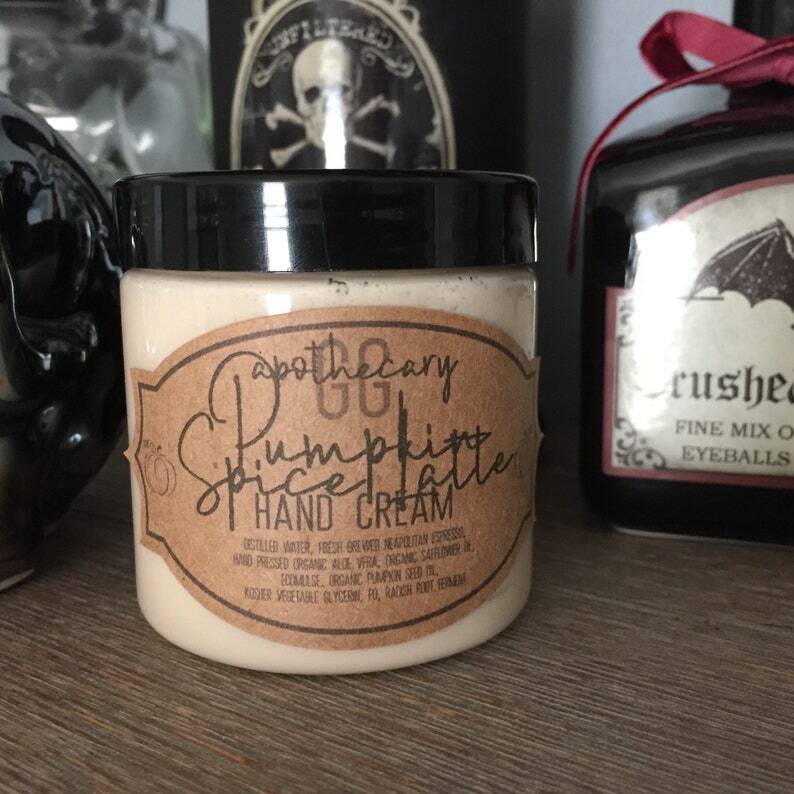 I've done my best to recreate this notorious masterpiece in my signature cream form! This eponymous latte contains some great inspiration, I've used both fresh brewed espresso (aka strong af coffee) and pumpkin seed oil. I've blended it together with safflower oil to create a light lotion, full of spicy goodness. And since this IS a *Limited Edition* product, I added a dash of Sweet Pumpkin fragrance oil. This formula is rich and creamy and has a whipped consistency. 🍃🍃 Pumpkin seed oil is amazing to work with. The bright orange colour of the fruit means that the oil is packed full of carotenoids, which are free radical scavengers. The phytosterols offer help with reducing redness and inflammation as well as soothing dry and itching skin. It's also rich in leic acid which offers softening and moisturizing properties, as well as cell regenerating and anti-inflammatory benefits and linoleic acid helps with skin's barrier repair. 🍃🍃 Caffeine from the espresso is a nice boost of antioxidants and may help act as an anti inflammatory. 🍃🍃 Vegetable glycerin in a humectant that draws moisture to your skin and helps soften. Unlike commercial creams, this handmade cream isn't full of useless ingredients or alcohol. It might take you a while to get used to only needing a fraction of the amount you'd usually use! All of my creams contain a globally approved paraben and formaldehyde-free preservative to keep it safe. I only use organic and non-gmo oils and butters and use locally sources ingredients when I can! All of my products are soy free. I use only eco-cert emulsifiers and thickeners and nothing animal derived. ➡ Each jar is 120g by weight, not volume.